Pad-ilates is the brainchild of Eoin Ó Conaire who is a Chartered Physiotherapist at Evidence-Based Therapy Centre. Eoin is an avid paddler and loves to get out in his kayak at every opportunity. 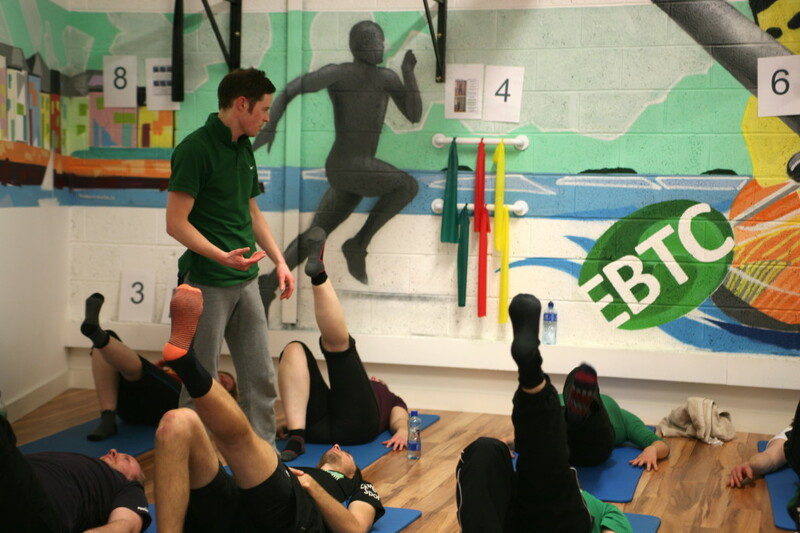 Pad-ilates is an eight week exercise programme that Eoin has developed to help kayakers to improve flexibility, stability and conditioning and to prevent injury and improve comfort and efficiency when paddling. The first Pad-ilates programme was run with 11 members of Galway Kayak club in 2013 and demonstrated excellent outcomes. There were clear improvements in flexibility, stability and control. There were also notable improvements in those paddlers who suffered from numb legs! Read more about numb legs when kayaking in Eoin Ó Conaire’s blog. Since then there have been two subsequent cohorts attending for Pad-ilates with similar excellent outcomes. The 2-ball balance test: How long can you balance for? Pad-ilates is also great fun and each session culminates in a “Pad-ilates challenge”. One of the most popular of these is Eoin’s “2-ball challenge”. 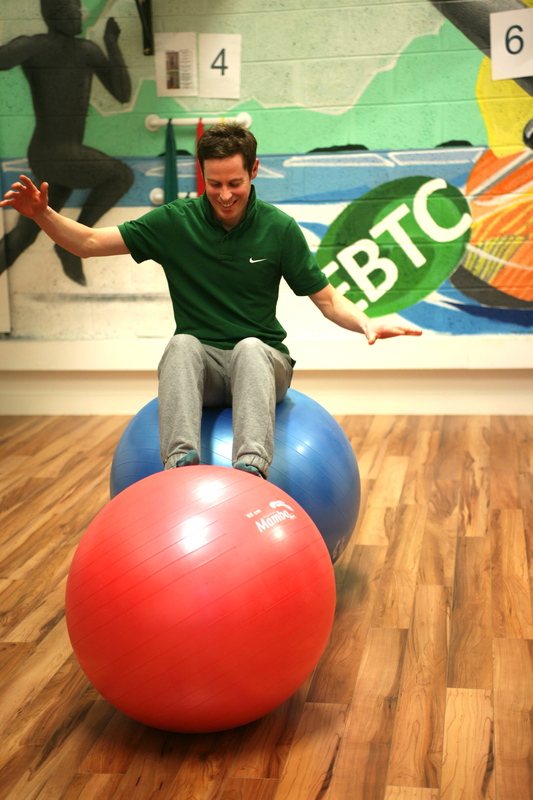 This is a timed test to see how long you can sit on a large gym ball whilst resting your feet on a smaller gym ball. Eoin has developed this test / challenge as he noticed a correlation between stability in a racing boat and performance on this test. Pad-ilates is suitable for all levels and disciplines of kayaking and paddles-sports. Improving your balance, control and comfort in the kayak means that you can enjoy and get more from your paddling. The latest programme has been developed further based on the findings of Eoin’s survey into kayaking injuries which confirmed that the shoulder and low back are the areas where kayakers most frequently experience pain or injury. You can read a summary of the findings here. We are now taking bookings for our Autumn / Winter programme which will run for 8 weeks on Wednesday evenings at 7.30pm – 8.30pm from 6th February. If you have never attended one of our Pad-ilates programmes you must also attend an introductory session on Wednesday 30th January at 7.30pm. Prices are €120 for the entire course of 8 sessions. This is discounted to €80 if you are a member of Galway Kayak Club. The introductory session costs an additional €10. If you are interested in attending Pad-ilates in Galway, please phone Evidence-Based Therapy Centre on 091 727777 or get in touch via the contact page.